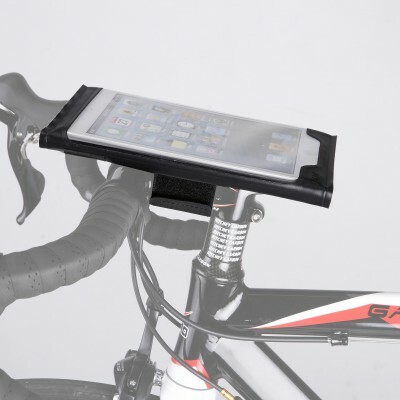 This freestanding tablet holder was designed for indoor training. 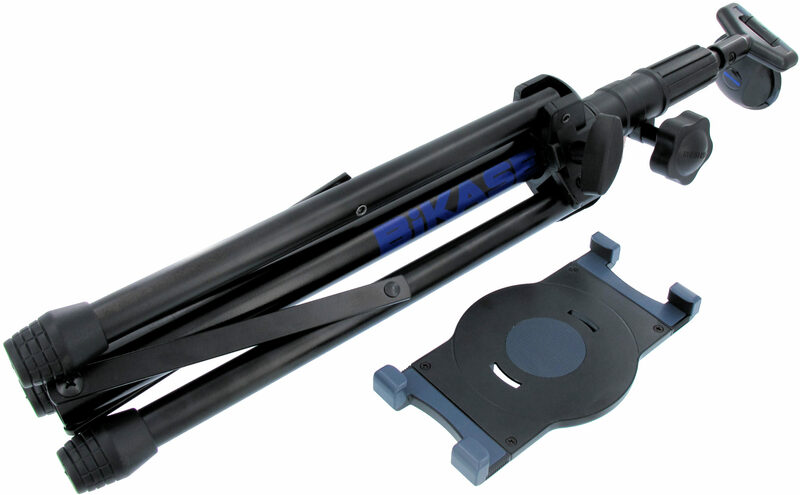 In order to take advantage of the many sizes of bikes and heights of riders, the stand uses a telescoping tripod design to accommodate any rider. 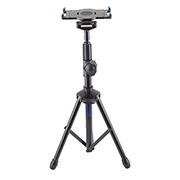 On top of the height adjustment, the tablet clamp can rotate a full 360°. Don’t let you tablet go to waste during your grueling training sessions! 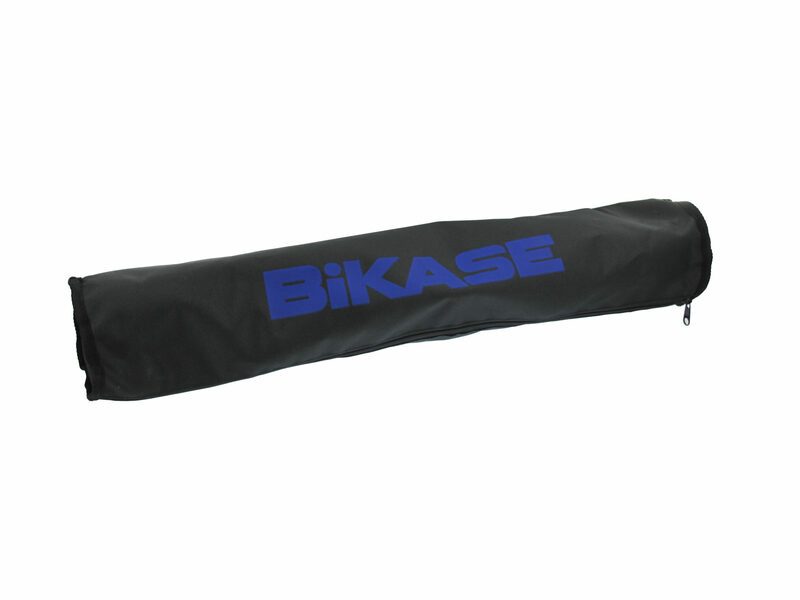 Put it to work with the tablet stand from BiKASE. Works with iPad Mini, iPad, Surface and most tablets. 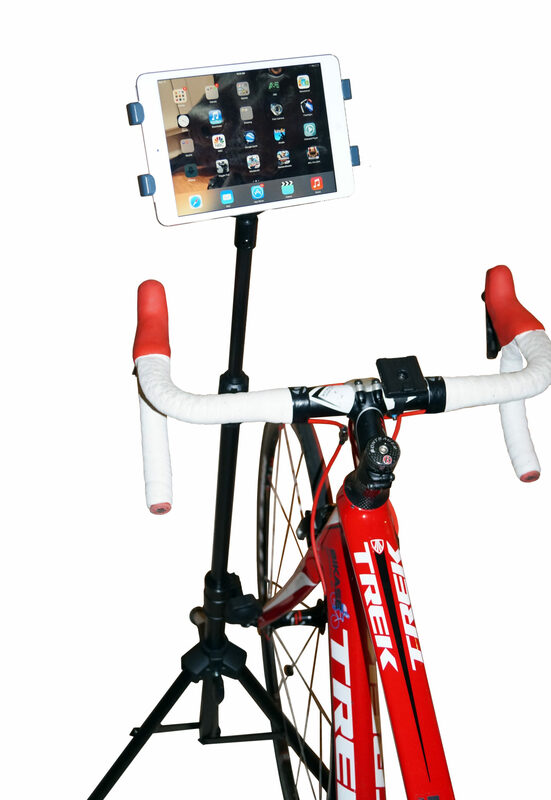 This freestanding Tablet holder designed for indoor training. In order to take advantage of the many sizes of bikes and heights of riders, the stand uses a telescoping tripod design to accommodate any rider. 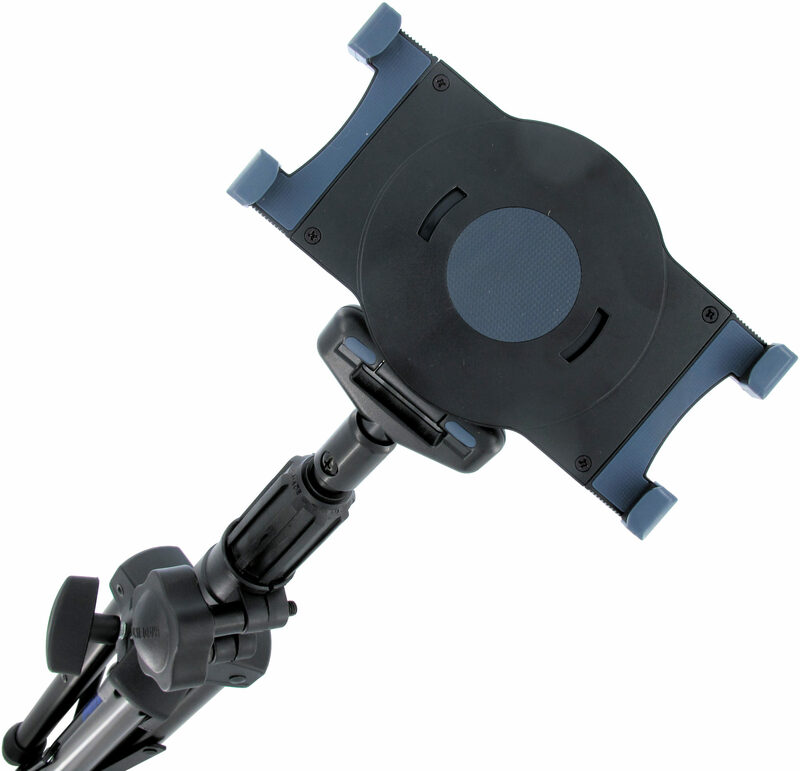 On top of the height adjustment, the tablet clamp can rotate a full 360°. 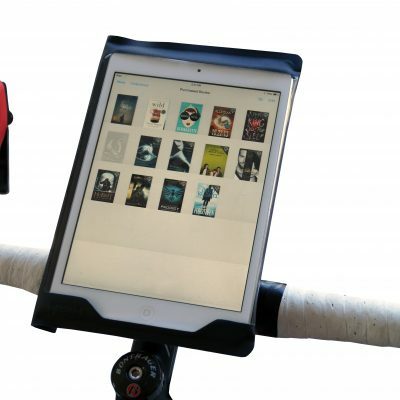 Don’t let your tablet go to waste during your grueling training sessions! 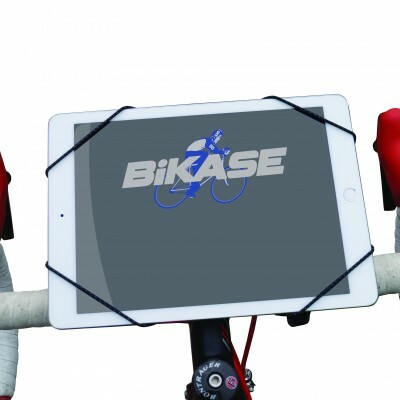 Put it to work with the tablet stand from BiKASE. 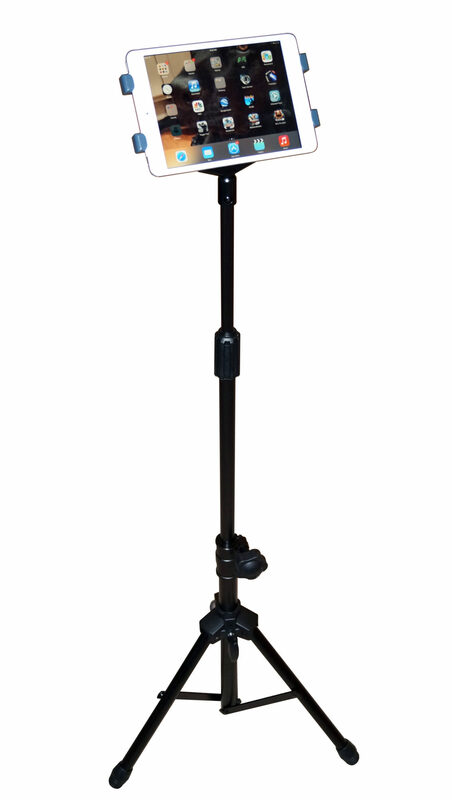 Similar to this stand, check out all of our other tablet and trainers here.